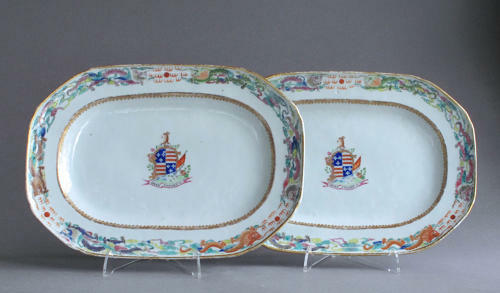 Condition: both of these serving dishes are in very good condition with no chips, cracks or restoration. There is rubbing to the gilding arond the rim. The other enamels are in good condition as can be appreciated form our photographs.